Is Paparazzi Jewelry A Scam Or A Legit Way To Make Money? Welcome to my Paparazzi Jewelry review. I’ve been doing some research lately on the Paparazzi Jewelry website but not really on their online store, but rather the marketing angle they are using. Is Paparazzi Jewelry a scam or is it actually a legit way to make money from home? What the Paparazzi Jewelry “affiliate” program is all about. How to become a Paparazzi Jewelry consultant/reseller. Whether you can make money with it or not. 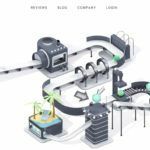 Let’s jump into this review and find out once and for all whether Paparazzi Jewelry is something you want to invest your time, energy and money in. Paparazzi Jewelry is an online store that sells (cheap) custom jewelry with their biggest selling point being that most of their items are just $5 or less (with some exceptions). Of course, that is nothing out of the ordinary – actually, it is quite smart – but the “weird” thing about Paparazzi Jewelry is the fact that they push the “Consultant” packages more than they push the actual products they sell. Unlike a pyramid-scheme (which is illegal), an MLM company is a company that makes money solely from their ability to get people to buy their products in bulk and then help them sell it. How Does Paparazzi Jewelry Work? You buy one of the “kits” from their website, you find a consultant in your area that will help you get set up and then you need to sell the various items in your kit to be able to make back the principal (and some profit on top of that). Of course – this twist in the business model makes you – the aspiring consultant – the actual customer of the company and not the affiliate. 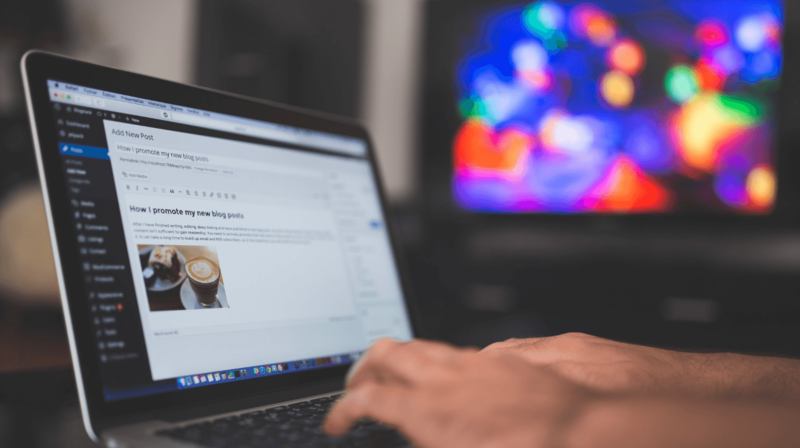 Before I go on, I must stress the importance of understanding the fundamental differences between MLM and affiliate marketing. One major difference is that with affiliate marketing, you do not have to pay to become an affiliate. I guess the best way I can explain this is with examples so here goes. I send people to the Paparazzi Jewelry website, they buy and I get a commission off that sale. I need to buy a bunch of products from Paparazzi Jewelry and then resell them for a profit by doing workshops and “home jewelry parties”. As you can see, with the affiliate marketing model, there is really no risk as I did not have to buy the product in bulk first. I simply sent people over to their website and that’s that. With the MLM structure Paparazzi Jewelry is operating with, I first have to buy up a bunch of products and then hustle to sell them (or else I’m losing money). It really is nothing more than having to pay to promote a company! Of course; the premise here is that since the jewelry is cheap, you’d be able to sell it quickly, recoup your investments and continue growing your business that way. While this sounds amazing in theory, it simply doesn’t work like that. If it did, you’d start hearing how everyone is just getting rich selling $5 items to their friends and family. If the products did sell well enough for you to make a decent income, the company would sell the actual product directly to customers and not sell them as an investment opportunity. This alone is very confusing – but apparently, you can’t deal with the company from the get-go, you have to first find a consultant in your area which will help you get started. The next step is the bite – this is where you become a customer. You can read more about these different packages and what you get inside each of them on this page here but, you’ll also get access to a few promotional materials that you can use to help you promote these products better. Once you have picked your kit, you just need to pay the chosen fee and you’re all set – just wait for your shipment of products to arrive. Well done – you’ve just become a Paparazzi Jewelry customer. Can You Make Money With Paparazzi Jewelry? I doubt you will get far with it. You are stuck to one geographic location. You have to sell one specific type of product. You are selling $5 trinkets for a small commission (not nearly enough to make a considerable income). If the actual products are profitable, the focus of the company would be on selling the products and not signing up “consultants” – which sounds a bit too prestigious for me for someone selling a $5 plastic gold ring. Is Paparazzi Jewelry A Scam? No, it’s definitely not a scam – it’s an MLM company (which some may argue equals a scam and I agree – but not in legal terms). My problem with this business model is that it takes away all the benefits of affiliate marketing and does not provide any other benefit. The way I make my money is with affiliate marketing, and I am free to start a business in any industry I want, I can pick and choose the products I want to sell and most importantly; I do not have risk money buying up inventory. If you want to go down this MLM route with Paparazzi Jewelry, then please go right ahead. I’m not writing this guide/review to change your mind. However; it’d be highly irresponsible of me to not share with you a few better ways to make money from home. The first option you have is affiliate marketing itself – this will allow you to promote any product under the sun and make money off it without having to buy up the inventory first. Great – start a jewelry blog and sell products from the many jewelry affiliate programs that exist already. I even have a guide on how to make money selling jewelry as an affiliate marketer. You can even outsource custom jewelry from China and ship it directly to your customers with the dropshipping business model. Coincidentally I also run an ecom dropshipping store that is also in the niche jewelry space and all I have to do is find products on AliExpress and then list them on my store – and pocket the profits. You can see my guide to making money with dropshipping in 2019 here. If you really want to hold inventory and start selling jewelry to your friends (which you can do, but for beginner dropshipping is a better option) then all you have to do is buy the same type of custom jewelry Paparazzi Jewelry offers in bulk from Alibaba. Most probably you will get a better price and you can sell at the profit margin you want rather than being forced to sell for just $5. (Just a bit of bonus info: with my dropshipping store, I sell $5 items for $20+). I don’t believe so but as I said; I would stay far away from it as there’s no good thing that can happen. There’s a lot of ways you can make money from home and trust me; Paparazzi Jewelry is not it. I would highly advise you stay away from this as it’s just way too complicated and as shown, there are far better ways you can switch on that entrepreneur spirit buried inside of you. If you want a proper way to build an online business, then look no further than my getting started course here. 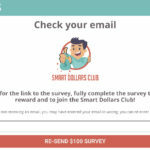 Smart Dollars Club Scam Review: Very Misleading!